Do you want your dream home? Well of course you do… who would ever say they don’t want their dream home? The REAL question is—how do you get your dream house or renovation? 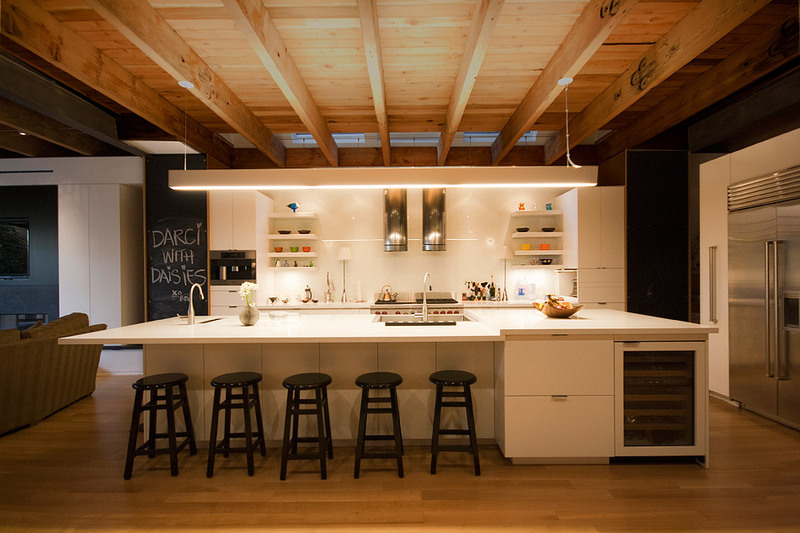 Do you know what type of kitchen millwork you want? Traditional, transitional or modern? How do you achieve flush transitions between hardwood and tile when you put heat underneath stone floors? There are countless moving pieces in the design/build process. 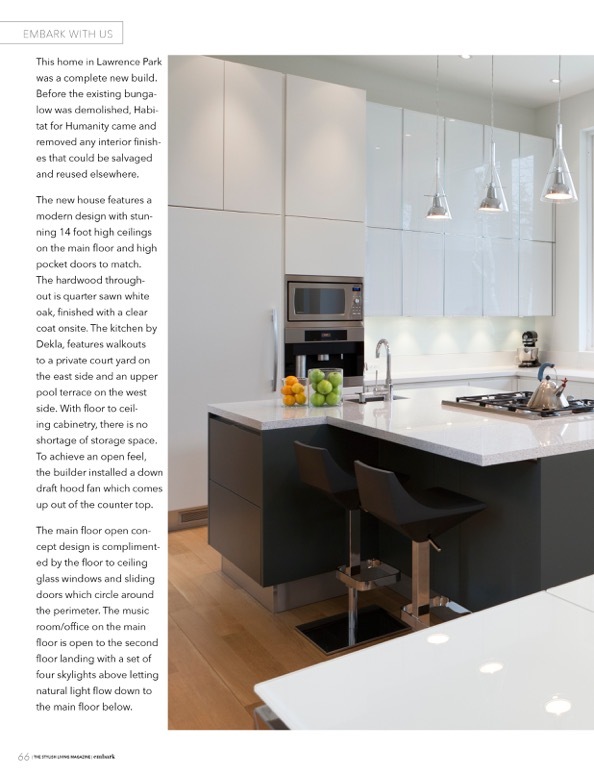 Take kitchen countertops for example: there are over a billion search results for kitchen countertops. How do you know what to focus on? The reality is you will NEVER be able to learn everything about creating beautiful spaces. Even we wont bog you down with trying to focus on everything. Why? Because it’s nearly impossible. But we are able to get amazing results because we’ve figured out a handful of core pieces that actually make the difference. Cool right? It’s the first ‘eco house’ in Ontario to receive platinum LEED certification. This is the back part of the ground floor family room. 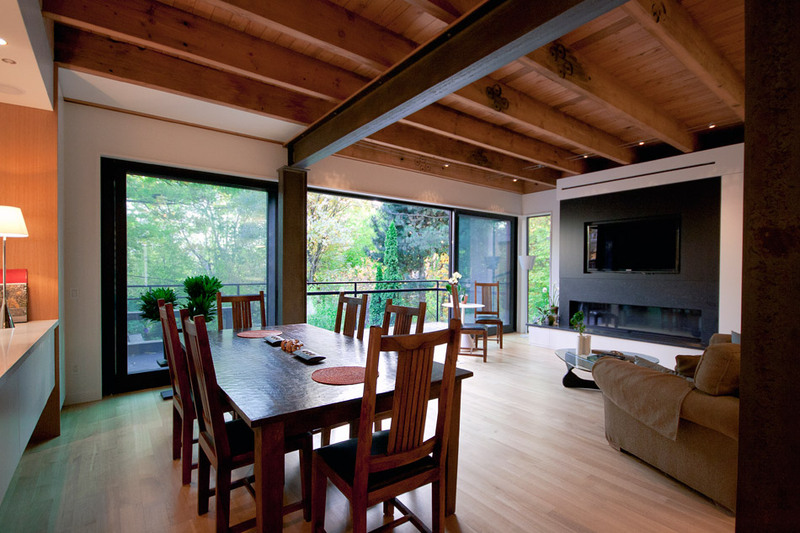 The light hardwood floor and steel beams give the living space an amazing mixture of modern and warmth. 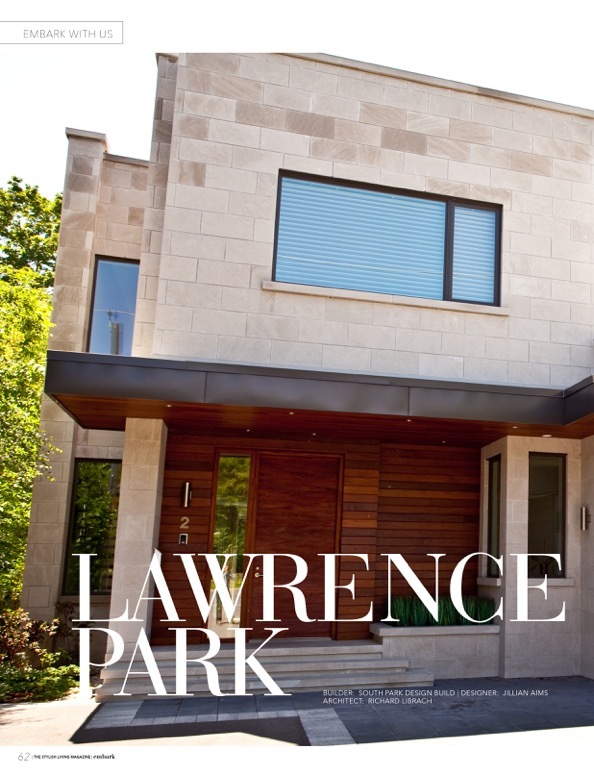 Now fast-forward a year and we completed this large custom home in Rosedale. Our client needed a space that was comfortable and cozy yet big enough to entertain guests. 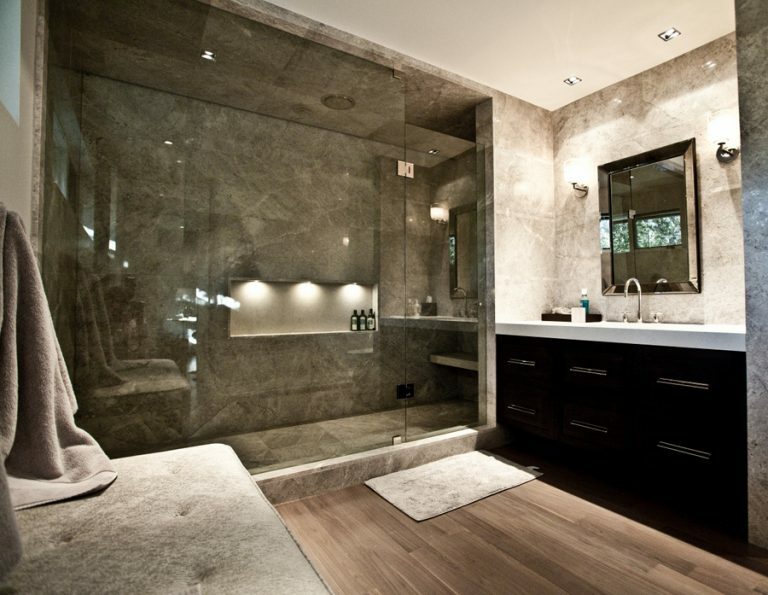 The stone slab and tiling details are immaculate. 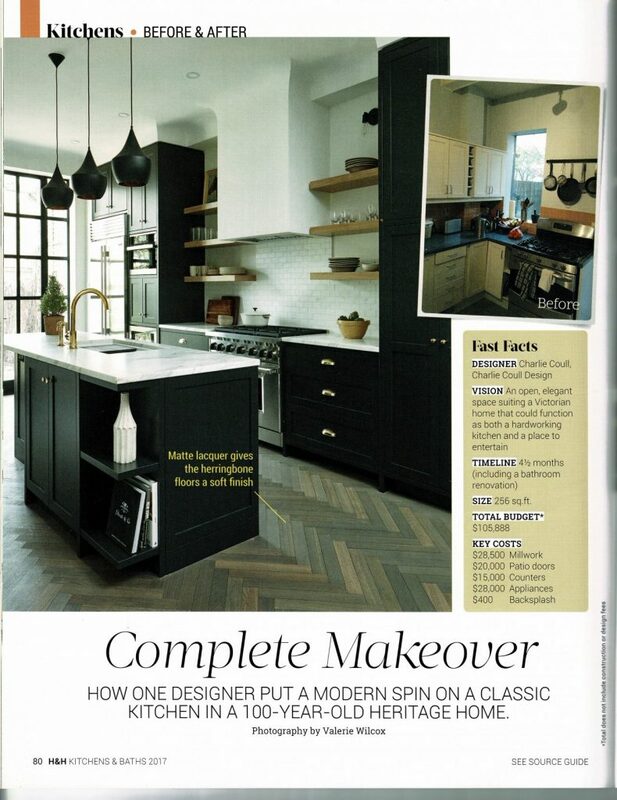 The house was written up in Embark Magazine, August & September 2014. 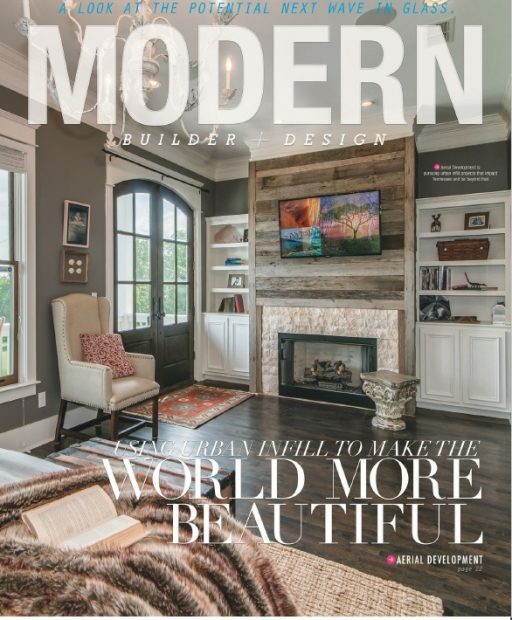 And it’s not alone, dozens of our renovations and new build homes have made their way into the media in the past few decades. 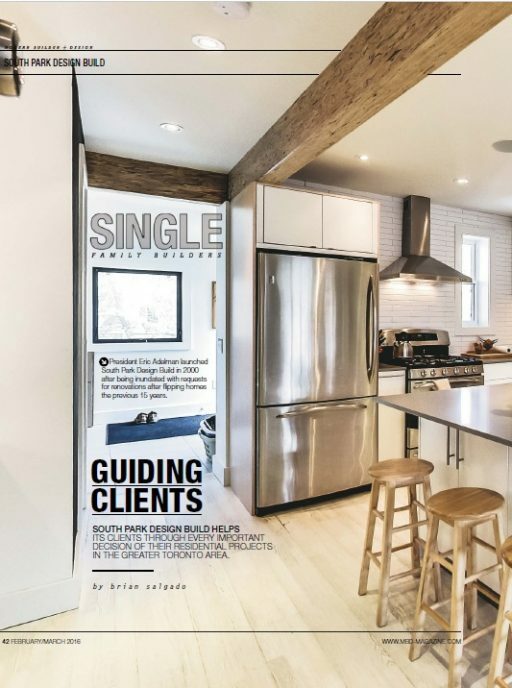 Our work has been featured in Canadian House and Home, North American Builders Magazine and many other magazines and TV productions. 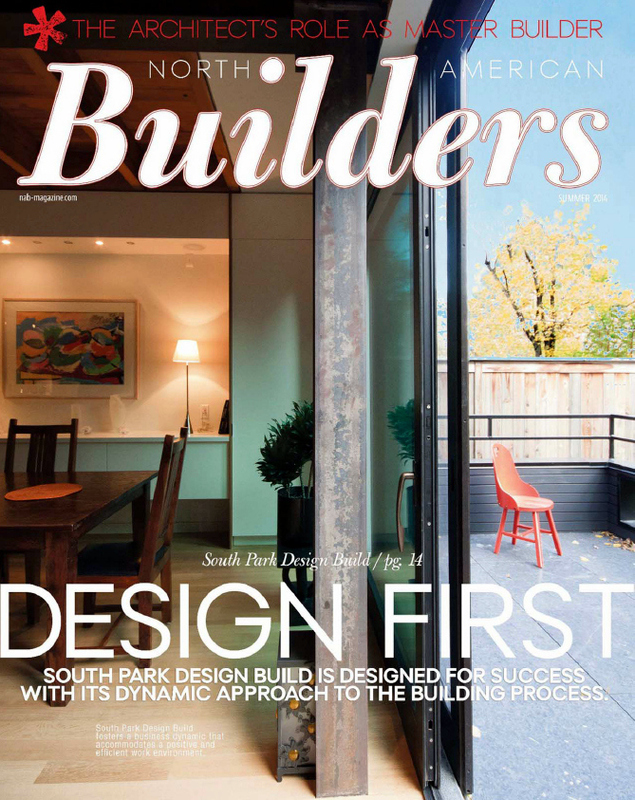 We’ve worked with top architects and tradespeople on over three hundred residential and commercial projects in Toronto. And it’s mostly thanks to our amazing clients who share our work around the city. Here’s what a few of them have to say. We’ve delighted our clients with fantastic design and streamlined construction processes and continue to do so with every completed project. We have 50+ five star reviews online, and hundreds of rave reviews from clients and industry professionals. Dozens of people are competing to work with us each month. As I mentioned above, we get dozens of people asking to work with us every month. But we’re not only business guys, we’re artists. We like to focus on what we do best: creating beautiful spaces. Fill out this form and reserve a consultation. Nothing too crazy, just the basics of what you’re looking to accomplish with the renovation or new build. Eric will call you and gather more information so we can accurately map out the scope of your project. Your initial call will be between 10 and 20 minutes. This is where we really begin working to figure out exactly what you need and how to make it happen. At that point if you see the value in working together, great. We’ll talk and see if we can take you on as a client. Worst case scenario you will have received some free advice from us which will help you plan your project. Ultimately, this is for people who take action and know a good opportunity when they see one. If that’s you, today is the day you step up and take your project to the next level. Click the button below to get your consultation. Eric will be in touch ASAP to schedule a time to chat.